On weekends, join the locals and cycle through Copenhagen’s cobbled streets, stopping for brunch at Mæt Café. Marvel at the world’s largest beer bottle collection at the Carlsberg Museum, or spot seals, reindeer and polar bears at the Copenhagen Zoo. Wander past waterfalls and wildflowers in the beautifully landscaped Frederiksberg Have. In the afternoon, watch local football team BK Frem score at Valby Idrætspark. Spend the evening snacking on yakitori at Sticks’n’Sushi and catch some of the best bands perform at Vega, before cycling home to your student accommodation. 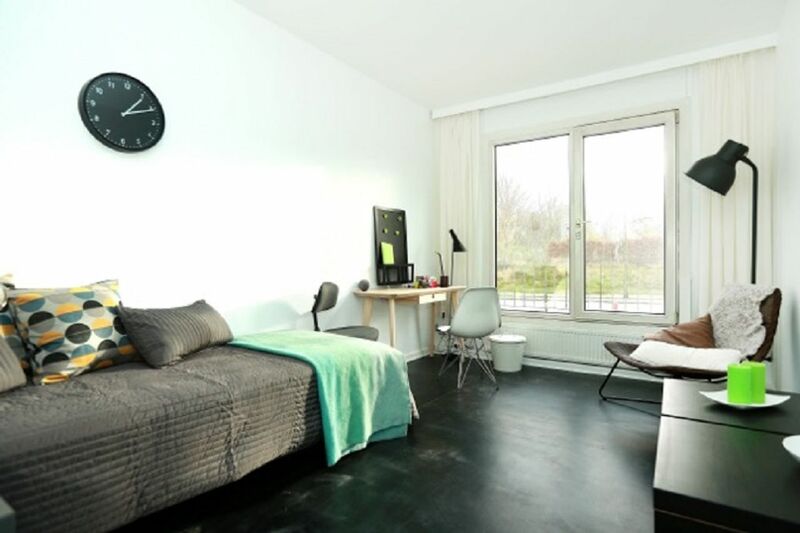 From your recently renovated apartment at Valby Kollegiet, it’s a 15-minute bike ride to Copenhagen Business School or a 21-minute ride to København Universitet. Alternatively, cycle to class at IT-Universitetet i København in 24 minutes, or The Royal Danish Academy of Fine Arts in the same amount of time. When the weather turns cool, you’ll be glad you’re only two blocks from efficient public transport links. Catch the bus to campus or the train to the city centre to explore Copenhagen’s museums, galleries and charming canals. After your adventures, come home to your peaceful oasis. Secure your bike in the storage lockers and head up to your bright and stylish apartment. 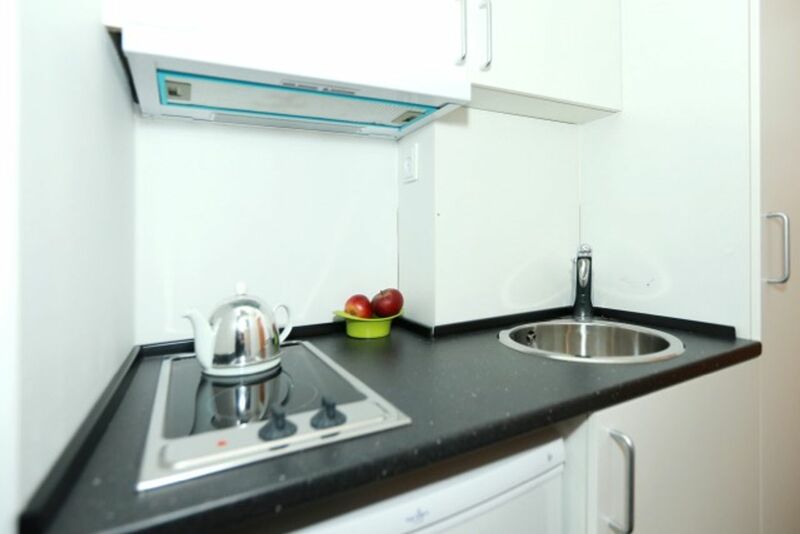 Whether you choose to share a two-bedroom pad or live alone in a one-bedroom apartment, you’ll find your neatly presented accommodation comes with a fully-equipped kitchenette. Open the fridge and fix yourself a snack on the kitchen bench, then watch TV or Skype loved ones back home. Head down to the communal laundry to do a load of washing, chatting to your neighbours while you wait for your clothes to dry. 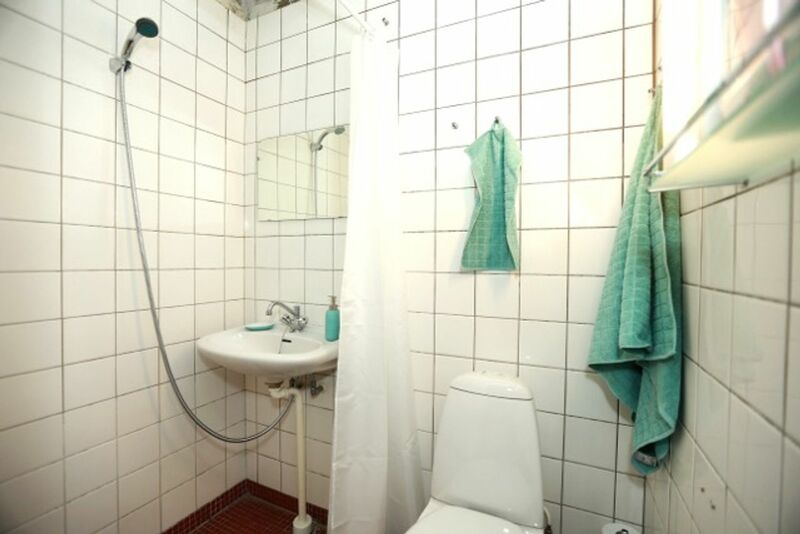 Make the most of your monthly rent by having a long, hot shower in your private ensuite and turning up the heat so your apartment is nice and toasty. Rummage through your wardrobe for a new outfit, call your friends, and meet up for gourmet burgers at 50s inspired D Diner, or a deliciously creamy hot chocolate at cosy café, Snabel B.
Wir haben leider keine Unterkunft gefunden, die deinen Wünschen entspricht.Alle Ganze Wohnung in Valby Kollegiet ansehen.